Determine the effectiveness of your marketing with these 5 metrics. 1. Financial: How much revenue does an average customer add to the bottom line? 2. Competitiveness: What is your share of market? What is your share of voice? 3. Consumer behavior: What is your customer retention and acquisition percentage? What’s your penetration of the total number of customers available? 4. Consumer intermediate: What’s the awareness of your brand? How satisfied are your customers? 5. Innovativeness: How many new products have your launched? What percentage of revenue do your new products generate? Looking for other sources on the same subject? Marketing Metrics: 50+ Metrics Every Executive Should Master, Wharton School Publishing, 2006; Strategic Customer Service: Managing Customer Experience to Increase Word of Mouth, Brand Loyalty and Maximize Profits, AMACOM, 2009. Before we dive into tips and tactics around branding, let’s start by defining branding since there is a lot of debate about what it is and why it’s important. Here’s my definition of branding: Building an emotional attachment to a business service or product. Why is it important to build an emotional attachment? Because emotion is like an elephant. In their book Switch authors Chip and Dan Heath use a metaphor to describe your mind. They say your mind has an emotional side and a practical side. The emotional side is like an elephant. The practical side is like the rider on the elephant. The rider can direct the elephant, but as you know, the elephant is much stronger and if it gets its way, it will overrule the rider. We had a question submitted in advance about the difference between branding and marketing and which is more important to your not-for-profit. Now, branding, like elephants, is big and complex. So, to help you wrap your arms around it well use the acronym, CRUX. Effective branding starts with a clear vision of who you are, the people you serve and the service you provide. How important is this? Well 60 years after its launch, dozens of competitors in the field, Tide laundry detergent is one of the top sellers. Why? Because Tide is still about helping moms make it easier to make whites whiter. Do any of you sense there’s lack of clarity around your not-for-profit’s mission? Gather a team of your key leaders and conduct a S.W.O.T. Analysis. This is where you determine your organizations strengths, weaknesses, opportunities and threats. One way to help ensure you have clarity internally and externally is with a tag line also known as a slogan. Some people call it a positioning statement. I like to refer to it as the brand promise. The first type is the voice of the business – Such as Got Milk? Or the New York Times’: All the news that’s fit to print. The second type is the voice of the consumer – Like “I’m lovin’ it” which of course belongs to McDonald’s. Here’s a trick question: What’s Burger King’s tag line? Who knows?! Do they have clarity of vision? I saw on their Web site they now have Italian Basil Chicken Wraps. Perhaps they lack clarity of vision? Who can finish this line: “Morgan and Morgan — for….the people.” Of course everyone in TampaBay knows this line because John Morgan has said it a million times on TV and radio. A bit about the event and other specifics, like does the festival have a car show, kids activities, arts and crafts. The second thing you can do to increase repetition and awareness is to make sure you’re doing all the easy and obvious things: wear a professional looking name tag when you’re at meetings with your company’s name on it, change your email to @yournotforprofit.com, provide t-shirts or window clings as gifts or prizes to people who interact with you online, these things have a shelf-life and continue to brand. Of course social media: Mention your donors on Facebook or Twitter when they do something newsworthy so you can share it and have it shared by others. The third suggestion is to find partners: You have a brand that for-profits, who have a budget, want to partner with. Find out who has similar interests and leverage each other’s databases. * The Dali museum approached the Tampa Bay Times with the idea to promote preservation of their masterworks. We came up with a contest for people to send in photos of things they would like preserved in TampaBay. It was called treasures of your town. We got nearly two-hundred people to submit photos and with online voting, in paper ads and signage, there’s no telling how many additional impressions the Dali received. * For the past 3 years the Tampa Bay Businesses for Culture and the Arts holds a 3-day sidewalk chalk festival in Hyde Park known as Chalk Walk. Last year we partnered with Ferman Automotive. Ferman parked one of their cars right on the berm by the sidewalk out front. They got infront of our audience and in tern, we got their support. Knowing your target audience, inside and out, is critical to marketing success. Here are a few easy ways to understand your target audience that don’t cost a dime. First, take a look at the kinds of cars you see most often in your parking lot or at your events. If they’re Lexuses, that tells you one thing. If they’re Mini-Van’s, that tells you another. Find out how far they drove to see you. Ask them how their weekend was and what they did. What’s the age range of the people you’re talking to? Do they communicate digitally or by phone? Once you know the answers to these questions try creating a persona to bring it to life. For tampabay.com we have three personas we market to: Pete and Marie, the yuppies with two-kids between the ages of 10 and 14 mid-to high household income always on the go, interested in things to do. Tb-tina* – the 29 year old who’s in the service industry and is always on the look out for drink deals and girls night out options, and Nelson the sophisticated traditional print reader who’s is retired but still active and is starting to get active online and even has a Facebook page to keep up with the grandkids. When we market we think about how we can reach these audiences. We have photos of them and cheat sheets that describe their traits. The X – factor in branding is the element that makes you stand out from the crowd. The emotion that is inherent in your brand, the elephant that will carry that rider down the path. For the American Cancer Society it’s the support they provide to loved ones struggling with the terrible disease. For the Tampa Bay Businesses for Culture and the Arts it’s the joy you have watching a performance or supporting a talented artist who’s trying to make ends meet or go to college. To determine your X-Factor, start with an online survey like survey monkey the free online tool. Survey your internal and external stakeholders as well as the people you serve. Find out what they say makes you unique, compile the results, bounce them off a small group of decision makers, set your plan and execute. Once you’ve got the C.R.U.X. down, you’ll have the foundation you need to create a brand that will last for generations. 11. Conduct a S.W.O.T. analysis — gather a core team of key leaders and determine your strengths, weaknesses, opportunities and threats. 10. Create your brand promise – use the free site survey monkey to start honing in on what makes you unique. 9. Bring your target audience to life – Create the persona that will give you a name and a face to market to. 8. Conduct a brand inventory – figure out all the ways and places your name is mentioned from your Web site to your building, to collateral. Spread them all out on a table and determine if they’re consistent and impactful. 7. Create a brand experience – Let people interact with your brand, hold an open house, tour your facility, host an event (live or online!). 6. Solicit help from a university, ad agency or freelancer to create a professional, consistent look for your branding. 3. Get digital – build a database of all the people you come in contact with and ask if you can send them your free monthly email. Email marketing is one of the cheapest, most effective ways to market. 2. Stick with it – Once your team has determined your brand promise and your look – stick with it for at least 3 years, then survey to see if it is working! 1. Find the elephant and ride it – If there’s one thing that can overcome a small budget, small staff, no research team, just about any challenge and that’s a memorable, emotional appeal. Does social media cause branding problems? In the previous post on my blog, www.kerryoreilly.com, I referenced a thought-provoking article in the recent edition of Marketing Management, the magazine published by the American Marketing Association. The article was written by Laura Ries, president of the Atlanta-based marketing consulting firm Ries&Ries (yes, she’s the daughter of legendary marketer Al Ries). In it, she makes a very good case for the importance of visuals in marketing and advertising. Without a single, consistent visual that conveys your brand promise (or as she calls it a “visual hammer”) you can’t nail your message into the emotional section of a consumer’s mind. Examples of visual hammers include:Coors Light’s Silver Bullet, the Budweiser Clydesdales and the Aflac duck. When you see these images, words are not necessary to convey the brand message. The reason Ries believes social media causes branding problems is that it’s a verbal rather than visual form of communication. Unfortunately, Ries does not go on to expand on why social media causes branding problems. I agree that social media, if not done right, may cloud the message in the mind of the consumer which may not advance a company’s branding. However, here are three examples where social media is helping to build the brand. Social media is not the exclusive culprit for branding problems. We marketers have managed to dilute our message using all forms of media over the years. I’m not a big fan of trade magazines. I force myself to peruse one or two a week because I don’t want to miss the holy grail of marketing knowledge. So far, no grail. However, in the summer issue of Marketing Management, the magazine published by the American Marketing Association, I found a gem. In the article “Why do you have 2 brains?” by Laura Ries, president of Ries & Ries, I realized something that subconsciously my brain knew since birth: Visuals dominate words. A strong visual is effortless to digest mentally. In an ad, it will connect with the more powerful right side of the brain which is ruled by emotions. However, if the visual does not convey meaning or is not linked with a verbal concept it will fall flat. Ries uses the analogy of the hammer and nail, I prefer the bat and the ball. The bat is the visual, the ball is the verbal. To hit a home run, both must work in tandem. For Tropicana, the image of the straw stuck in an orange conveys fresh squeezed without saying a word. 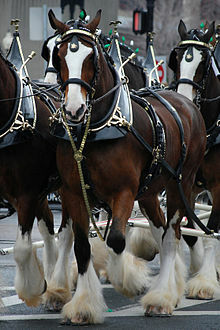 For Budweiser, it’s the Clydesdales. For Coors Light, it’s the silver train. Because of the reliance on verbal rather than visual, Ries states that social media causes branding problems, rather than solves them. Follow me on Twitter @KDOReilly or check back in a few days to find out why. If you want someone to do something, first he or she must feel something. This is true in life as well as in marketing. When “Mean Joe” Greene tossed his football jersey to the kid in the locker room millions of people watching the commercial for Coke felt something and in turn became loyal Coke drinkers. Amazingly, Chik-fil-A managed to pack emotion into a communication vehicle that historically has been about as touchy-feely as trip to the D.O.T. — the corporate training video. This video was shared by Dan Cathy, President and COO of Chik-fil-A at a Tampa Bay Marketing Association meeting in the Spring of 2012. Marketing and advertising people are unapologetically chatty, but when this video aired you could’ve heard a waffle fry drop. Regardless of your feelings about Chik-fil-A’s corporate philosophies with regard to social issues, you have to applaud them for recognizing the importance of adding emotion to an element of their training. Clearly the subject of this video, empathy for customers, is very important to them. What are you working on that’s important to you? Convincing your boss to embrace your proposal? Encouraging your kids to study? Whatever it may be, do it with emotion if you want to set them in motion.